LA JOYA — A man who was found dead on the side of the road in rural La Joya earlier this week has been identified as a 29-year-old from Guatemala, the Hidalgo County Sheriff’s Office said in a news release. 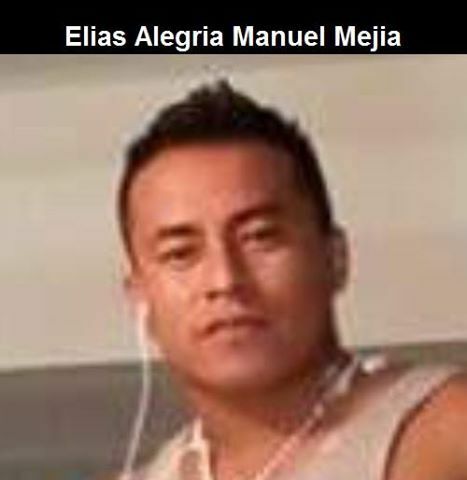 The shirtless body of Elias Alegria Manuel Mejia was found Tuesday about 12:38 p.m. along La Gallina Road west of Giles Road near La Joya. A justice of the peace pronounced the victim deceased, and ordered an autopsy, the release states. The sheriff’s department’s major crimes unit and crime scene specialists responded to the area to continue the investigation and process the scene for evidence. The autopsy results are pending but there were no signs of foul play at this time. After the identity of the body was established through fingerprints, the Guatemalan Consulate and the decedent’s family were notified, the sheriff’s department said. This is an ongoing investigation. Anyone with information regarding this investigation may contact the Hidalgo County Sheriff’s Office Criminal Investigations Division at (956) 383-8114. If you wish to remain anonymous, you can call the Hidalgo County Crime Stoppers hotline at (956) 668-TIPS (8477).